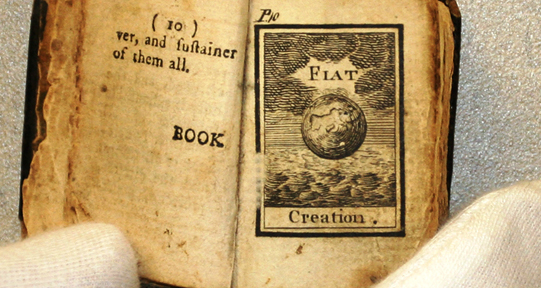 "The Bible in Miniature, or, A Concise History of the Old and New Testaments" London: W. Harris, 1774. 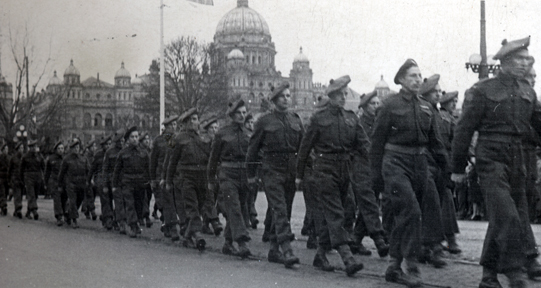 Members of the Canadian Scottish Regiment returning from Europe, Victoria B.C. 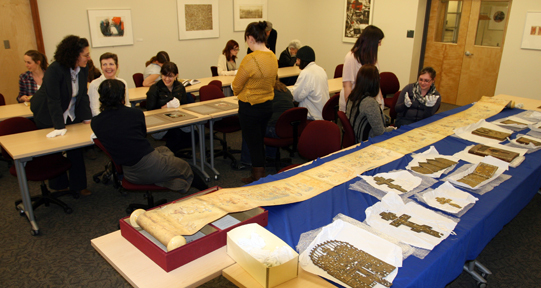 Dr. Evanthia Baboula, of the Department of History in Art, and students using materials from the Brown Collection. 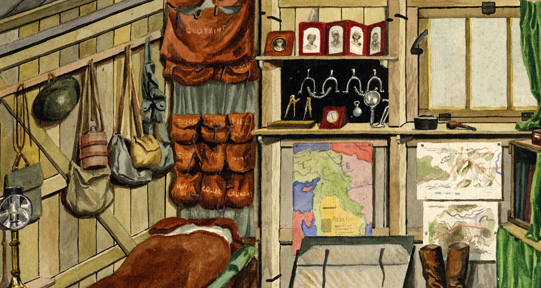 Watercolour image of a soldier's dugout from J.M. 's World War One Sketchbook, 1917-1918. 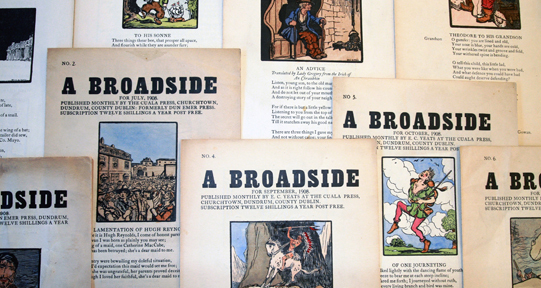 Broadsides printed by the Dun Emer Press, c. 1908. 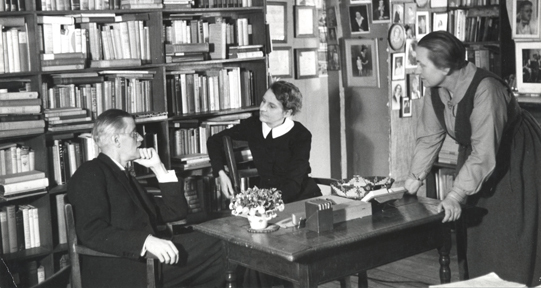 Photograph by Gisele Freund of James Joyce, Sylvia Beach and Adrienne Monnier in Beach's Paris bookstore, Shakespeare and Company. 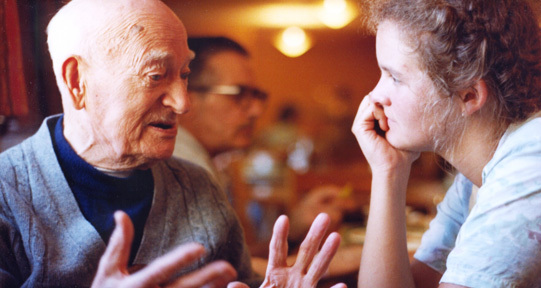 Elizabeth Hazlitte interviewing WWI veteran Egbert Browning in 1983 for the Military Oral History Collection. 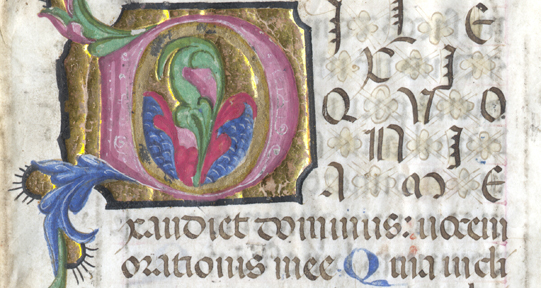 Detail of 15th century fragment from a Book of Hours. 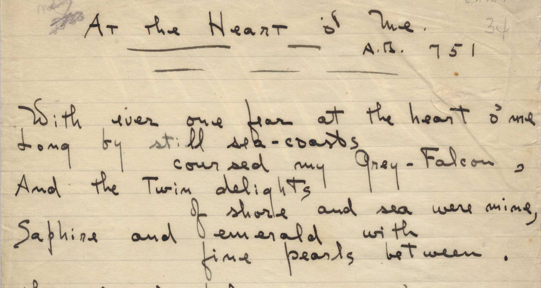 Manuscript page of "At the Heart o' Me" by Ezra Pound. 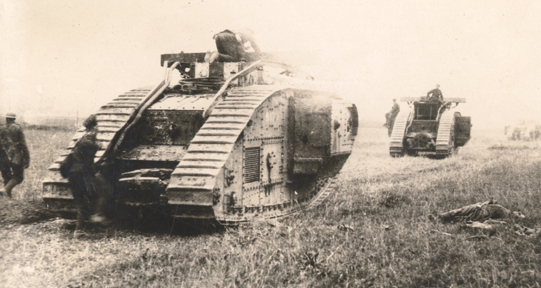 Tanks at Amiens, photograph from the Archie Wills fonds. University of Victoria Libraries Special Collections serves as a research and teaching resource for students, faculty, and the community at large. Its mandate is to collect, preserve, and make accessible rare books, manuscripts, architectural plans, photographs, and oral history interviews. 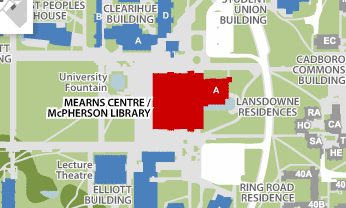 All members of the university community, as well as those outside the university, are welcome to use the resources and services of the department. Learn more about our current events and the services we provide. Search or browse our various collections. Resources for faculty and students. 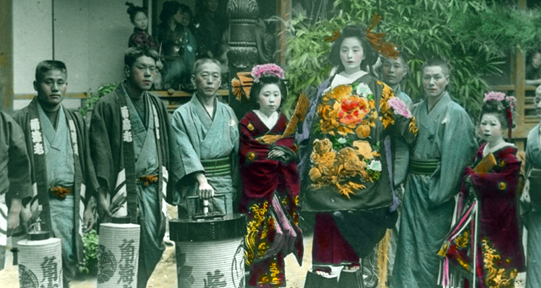 Learn more about UVic Special Collections.